Tax season is one season that most people dislike because most people put their taxes off for as long as possible. After all, who wants to be going through tax forms after work or over the weekend instead of relaxing? Fortunately, there are a number of handy apps that you can use to simplify the tax filing process. Do you love TurboTax? 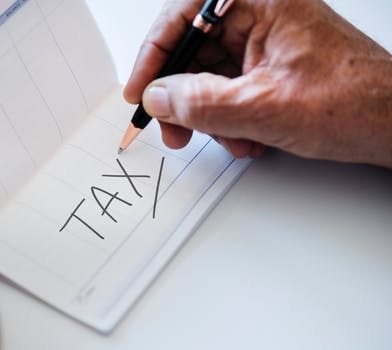 This very popular tax filing software has a lot to offer when it comes to helping you file your tax, estimate the refund you get and find out when the refund will land in your bank account. Now there is another app that you can use to make life easier. SnapTax is an app which claims to help you get your taxes done in 10 minutes. All you need to do is download the app, take a picture of your W-2, answer a couple of questions and file from the app or online. This is best for people with simple claims to file. You will have to pay $24.99 to file, but you will not be charged until the filing is done which is ideal because the app is not for everyone. If you do not own your home, only have a W-2, earn less than $100,000 and have no interest, this app will be right for you. If your situation is more complicated than this, you need to look at one of the other solutions. If you are not set on using TurboTax, this is a good app for you to look at. With this app, you have the convenience of filing from your phone and knowing that you get some free audit support. You will also get representation from an H&R Block agent when you use the app. As with SnapTax, you will simply have to take a picture of your W-2 and the app will import the data for filing. Again, if you have a more complicated tax filing, this app might not work for you. However, this app has an additional advantage of being free for filing state and federal returns. While TaxACT does not actually have an app which files your tax return, the TaxACT Central app does have a lot of handy features that you can use. This will include an interactive checklist as well as due dates which help you stay organized during the tax season. The DocVault app that they offer is also very useful as it allows you to take a picture of all your tax documents, edit them if needed and save them to the app throughout the year. This means that you will not be rummaging through your drawers when it comes time to file. You will simply have to import thee mages from the app to TaxACT and you will be ready to file. If you have some tax questions that you would like to have answered, you should look at this free app. This app enables you to get valuable information from a CPA. You will also get access to the database of questions and answers that other users asked. If you need more help than the app can provide, they also have a listing of local accountants that you can contact. If you are looking at tax apps, you cannot forget about the official IRS app. This app allows you to request your tax records, check the status of a refund, provides tax updates and daily tips. You will also be able to follow the IRS on social media with the app. However, you should not get distracted by the IRS Tumblr and take advantage of the filing capabilities of the apps. 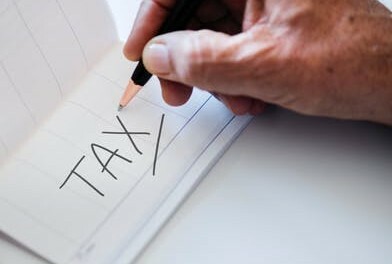 If you want to know more about taxation and tax tips then look at the blog on VATGlobal.